Pierate - Pie Reviews: Pieday Friday - 3rd March 2017 - All things British Pie Week! Pieday Friday - 3rd March 2017 - All things British Pie Week! Unless you've been living on another planet for the last few weeks, you'll notice we've kinda been promoting British Pie Week! In fact with just a few days left til it begins (and you can see to the second how long we have left in our Countdown to British Pie Week article!) you could say it's been on the forefront of our minds! So with so much to fill you in on and some exiting updates to our British Pie Week plans, do enjoy our preview of the greatest week in pie! For the last few years prior to British Pie Week we've encouraged individuals, pie companies and anyone else who will listen to make a #PiePledge for British Pie Week! Part of our #PiePledge is to host a pie night in British Pie Week, so our friends can enjoy some Pierate Highly Recommended pie with us! This year we're hosting in a pub in Birmingham called the Jekyll and Hyde - where we've eaten some top pies in the past few years. In fact, this pub served us the highest rated pie in Birmingham to date! While full details can be found in our Birmingham Pie Night article, the latest on our pie night is that we're going to be served a selection of "family sized" pies, which means we can mix and match what pies we eat from a list including beef and ale, chicken, potato and cheese and rabbit pie! We can't wait! The pub was also in fact the venue back in February 2015 when Pierateer Rob was filmed by the BBC talking football pies, for an episode of "Rip Off Britain" that aired in April 2015 and has been repeated several times since. 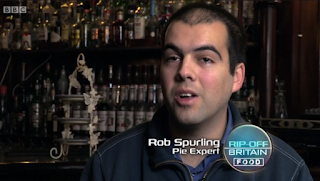 Everyone wants to know Everything there is to know about British Pie Week! 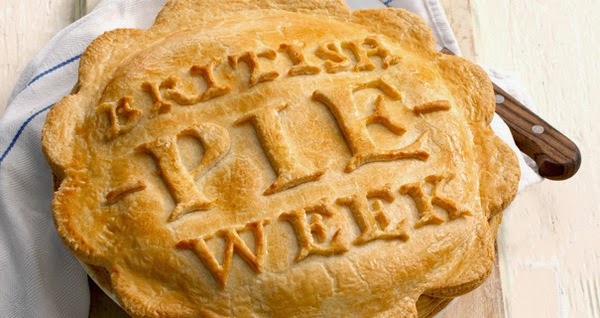 It turns out loads of people want to know all there is to know about British Pie Week! With almost 4,000 views of our "British Pie Week - Everything you should know" article, it's quickly become one of our most viewed articles ever! But I guess with Pierate Pie Reviews becoming the home of British Pie Week 2017, it's not that sur-pie-sing! That's just not cricket...it's cricket pie!!! The Pieminister "Hopper" pie featuring Crickets! Those crazy chefs at Pieminister have decided that, alongside bringing back some old favourites in the form of The Big Cheese (a mature English Cheddar, onion and buttered potato pie with a cream cheese & chive middle) and The Guru (a British Lamb Dhansak curry pie made with Chana Dahl, spinach & chickpeas), they're going to sell a brand new pie - featuring crickets! Yep - you read that right! But with 70% of the world's population seeing eating insects as a normal part of their diet, perhaps it's not such a crazy idea after all! 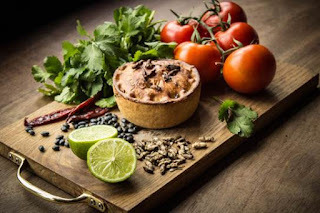 The "Hopper" is a Mexican-inspired cricket and black bean pie cooked in a rich tomato, chipotle chilli and sour cream sauce with fresh lime and coriander. While it's hard to say if we're looking forward to trying it or not, we feel it is our duty as the world's leading pie review blog to give it a go and will do so next weekend! In the meantime, why not check out all 12 of our Pieminister pie reviews so far? Outrage at the British Pie Awards Judges! And finally, a group of pie fans from Lancashire who are all part of the Lancashire Pork Pie Appreciation Society have written an open letter to the British Pie Awards 2017 organisers due to being outraged at their Midlands and Southern pie judge bias! It seems they've cottoned on to what we've known all along, which is that the majority of judges at the British Pie Awards come from either Melton Mowbray itself (the location of the awards), the surrounding area or from London. There is only a small contingent of judges from the North of England and from Scotland. One wonders why they didn't just ask to be on the judging panel themselves, but then again this society does recognise cottage and shepherds potato bakes as being pies, something even the British Pie Awards do not accept! All this outrage seems to miss the mark slightly though, considering last year the winner of the British Pie Awards was not a pie at all - but a pasty!! !